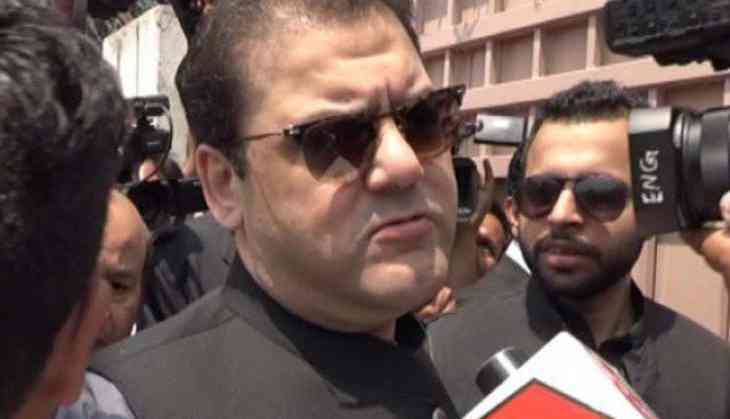 Prime Minister Nawaz Sharif's elder son Hussain Nawaz arrived at the Federal Judicial Academy (FJA) here on Tuesday to appear for a sixth time before the joint investigation team (JIT) probing the Panamagate case. His brother Hassan Nawaz faced the six-member Joint Investigation Team on Monday, while his sister Maryam Nawaz will appear before the team for the first time on Wednesday. "From the nature of questions, I can assume I will not be asked to appear before the JIT [again]. But, If I am summoned again, I will appear to fulfill my legal obligations," Hussain had said. Finance Minister Ishaq Dar,who is also the father-in-law of Prime Minister Nawaz Sharif's younger daughter, also faced the JIT on Monday in connection with the probe, which has entered its final week. Dar again disowned the confessional statement he signed in the year 2000, linking the Sharif family with money laundering in the Hudaibya Paper Mills case and termed the confession he signed 17 years ago as "a piece of trash". Speaking to the media outside the FJA, Prime Minister's Special Assistant Asif Kirmani stressed again that the JIT report will have "no credibility" if does not include the statement of Qatari prince Sheikh Hamad bin Jassim bin Jabar Al-Thani. FIA's former deputy director, Inam R. Sehri, has submitted a 248-page report about fictitious bank accounts allegedly used by the Sharif family for money laundering and a 500-page report regarding investigation into the construction of a motorway to the JIT, the Dawn reported. According to the details, the team will review tax returns and other documents related to the businesses of Sharif family. The members will also collect the evidence for the preparation of the final report that is to be submitted in Supreme Court (SC) on July 10. A five-member SECP team headed by the head of Companies Registration Office (CRO) based in Lahore on Friday submitted additional record related to the companies of the Sharif family including Hudaibya Paper Mills, Chaudhry Sugar Mills and Ittefaq Foundries to the JIT. Prime Minister's Special Assistant Asif Kirmani stressed again that the JIT report will have "no credibility" if does not include the statement of Qatari prince Sheikh Hamad bin Jassim bin Jabar Al-Thani.